Discover elation at every elevation during your summer with Four Seasons Mountain Resorts. Each of our four unique resorts offers an assortment of ways for you to play on and off the mountains. From verdant alpine meadows and once-in-a-lifetime wildlife encounters to adrenaline-fuelled mountain biking and serene fishing excursions, discover a new side of the mountains. At Four Seasons Resort and Residences Vail, there is no “off season” for this popular destination. Adventure abounds for all ages, with exciting activities on land and water or in the sky. 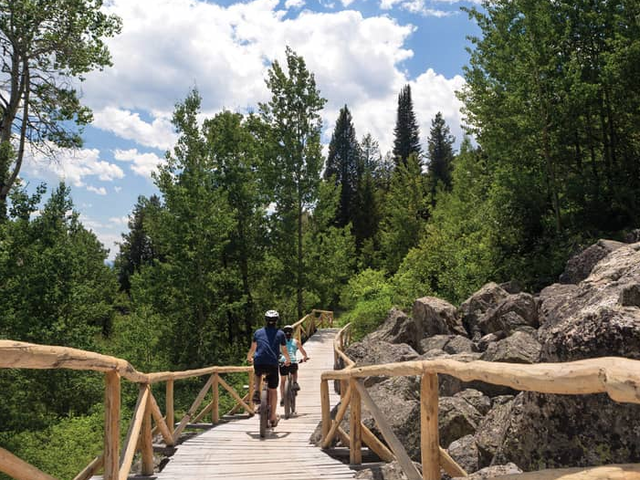 Learn about our favourite summer activities all easily accessible from nearby Vail Village. 14,000 feet (4,267 metres): Discover the legendary “fourteeners” mountain peaks on a two-day adventure. 10,645 feet (3,244 metres): At the new Vail Epic Discovery, take to the skies with aerial zipline tours, ropes courses, alpine coasters and more. 8,120 feet (2,474 metres): With a backdrop of mountain views, The Remedy Bar is the ideal destination to unwind and socialize. 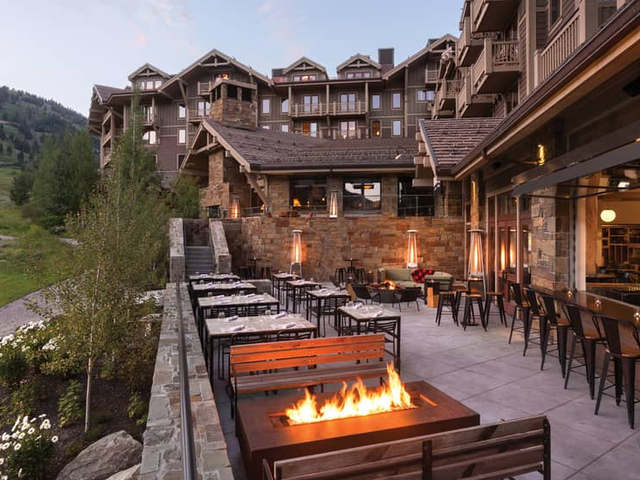 8,022 feet (2,445 metres): Transport yourself to Vail's European-style alpine village, with gourmet dining and local shopping. 8,000 feet (2,438 metres): Watch your ball fly an average of 15% farther at one of Vail’s award-winning golf courses. 6,150 feet (1,874 metres): From gentle float trips to pulse-pounding whitewater rafting, Vail has some of the best rafting in the West. Four Seasons Resort and Residences Jackson Hole, America’s wilderness playground, combines rustic adventure with luxury accommodations. Surrounded by panoramic vistas of the Grand Teton Mountains, outdoor enthusiasts will find memories to last a lifetime. 10,875 feet (3,314 metres): Go hot-air ballooning for soaring views of the Teton Mountain Range and Teton Village. 10,015 feet (3,052 metres): Hike to scenic mountain peaks, waterfalls and glacial lakes in Grand Teton National Park, with expert guidance from the Resort’s Base Camp. 7,349 feet (2,239 metres): Gaze at the stars with our in-house astronomer for dazzling views of comets, planets and other nightly wonders. 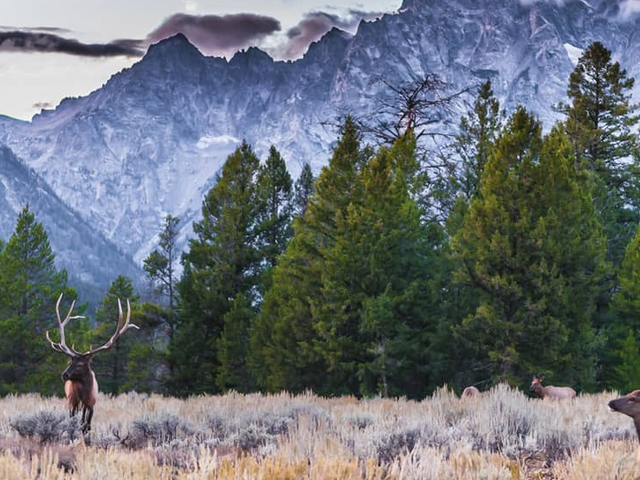 6,800 feet (2,072 metres): Our in-house naturalists lead wildlife safaris through Grand Teton National Park, home to bears, moose, bison and wolves. 6,311 feet (1,923 metres): At this world-class fly-fishing mecca, take casting and fly-tying lessons before your private trip on Snake River. 6,237 feet (1,901 metres): At the Resort’s Wild West Academy, experience the best of the West, including barrel racing lessons and an introduction to rodeo. 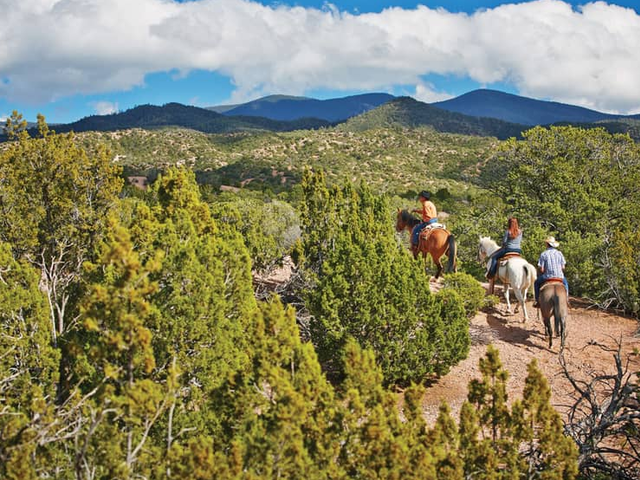 At Four Seasons Resort Rancho Encantado Santa Fe nestled in the foothills of the Sangre do Cristo Mountains, the enchanting Southwest comes to life. Discover your calling from outdoor adventure to cultural and culinary experiences, all against a backdrop of spectacular sunsets. 12,000 feet (3,657 metres): Try rock climbing at the breathtaking Rio Grande del Norte National Monument, with a picnic lunch at the river’s edge. 10,350 feet (3,154 metres): Mountain bike tours led by our in-house Adventure Partners traverse through hidden canyons filled with pine groves, mountain streams and wildflower meadows. 7,198 feet (2,193 metres): Wander downtown Santa Fe, where local artisan boutiques line the historic Spanish-inspired plaza. 7,000 feet (2,133 metres): Shop the Santa Fe Farmers’ Market, then enjoy a behind-the-scenes cooking lesson with our executive chef. 6,900 feet (2,103 metres): World-class music awaits at the open-air Santa Fe Opera, where guests can take an exclusive backstage tour. 6,500 feet (1,981 metres): Tour ancient cliff dwellings of the Pueblo Native Americans in nearby Bandelier National Monument. Discover the year-round charms of Four Seasons Resort and Residences Whistler, whether you seek exhilarating thrills or a relaxing escape. 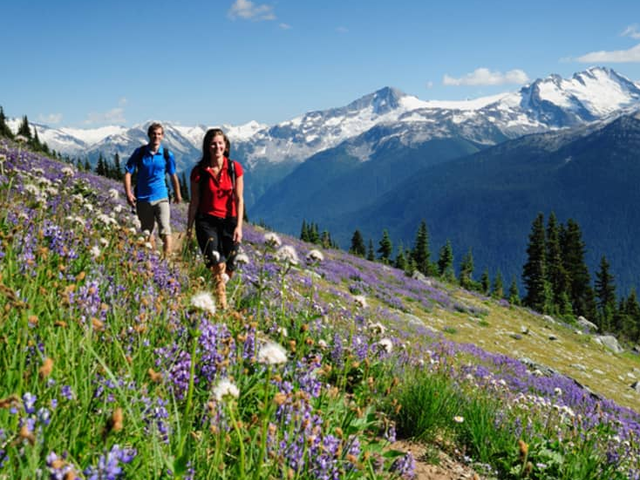 Explore the alpine flora and fauna surrounding Whistler and Blackcomb mountains, then tour the charming European-style Whistler Village. 8,000 feet (2,438 metres): Soar to remote natural hot springs via helicopter for a private yoga session and relaxing aqua massage spa treatment. 4,593 feet (1,399 metres): Get up close to Whistler’s magnificent black bear population on a professionally guided 4x4 tour. 3,608 feet (1,099 metres): Miles of biking trails criss-cross Whistler Mountain, from challenging mountain tracks to family-friendly paths. 3,567 feet (1,087 metres): Enjoy breathtaking views from the Peak 2 Peak gondola, connecting Whistler and Blackcomb peaks. 3,280 feet (999 metres): Fly high above the forest floor on an exhilarating Ziptrek tour. 2,214 feet (674 metres): Savour weekly barbecues and live music on the patio of SIDECUT Modern Steak + Bar. Whistler is a Canadian resort town in the province of British Columbia. Boasting the largest ski area in North America, Whistler is a popular winter snow-skiing and outdoor sports destination. During the 2010 Winter Olympics, it hosted most of the alpine, Nordic, luge, skeleton, and bobsled events, though freestyle skiing and all snowboarding events were hosted at Cypress Mountain near Vancouver. The Town of Vail is a Home Rule Municipality in Eagle County, Colorado, United States. The town was established and built as the base village to Vail Ski Resort, with which it was originally conceived. Vail Ski Resort's first season was in December 1962; it is the largest ski mountain in Colorado. It’s also a summertime destination for golfing, hiking and cultural festivals.